Lot 55. 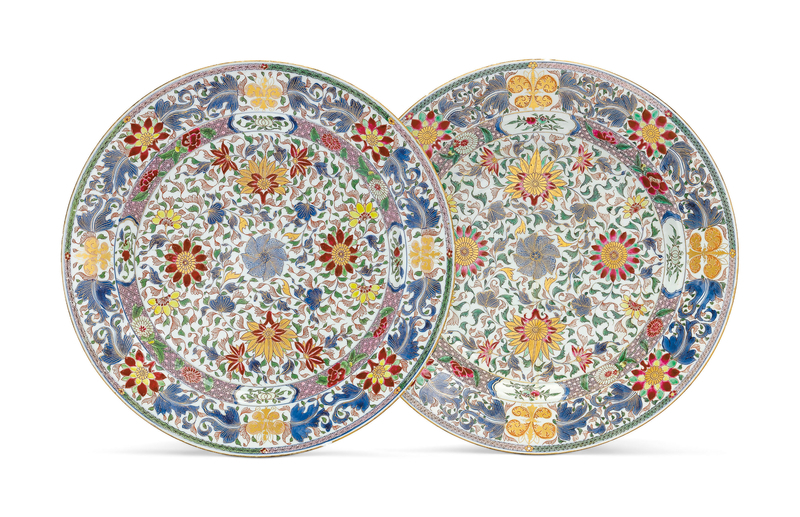 A very large pair of rose-Imari dishes, Kangxi period, circa 1720; 18 ¼ in. (46.4 cm.) diameter. Estimate USD 12,000 - USD 18,000. 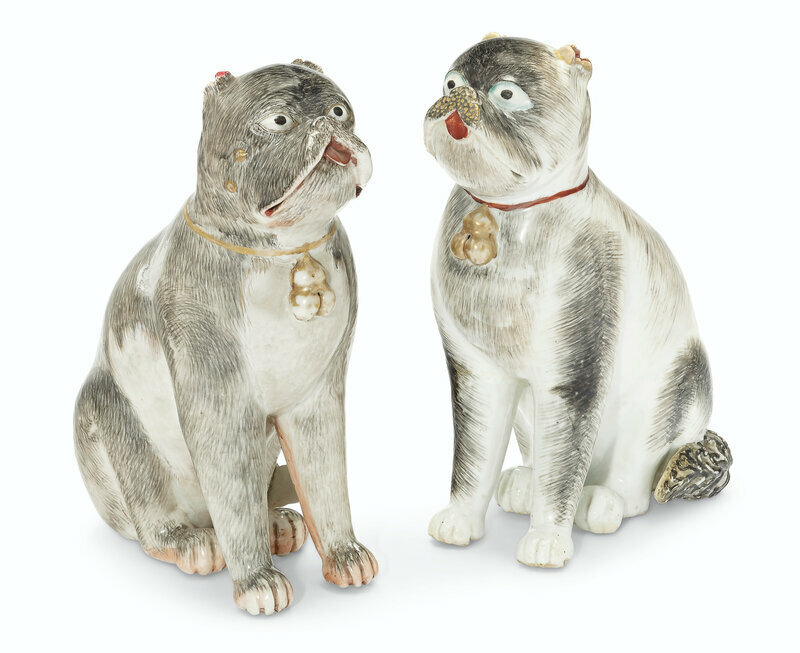 Price realised USD 27,500. © Christie's Images Ltd 2019. The centers with densely packed, symmetrically arranged flowering vine bearing small pink leaves, on the well pink diaper pattern and the rims with large lotus blooms growing from curling cobalt blue leaves. 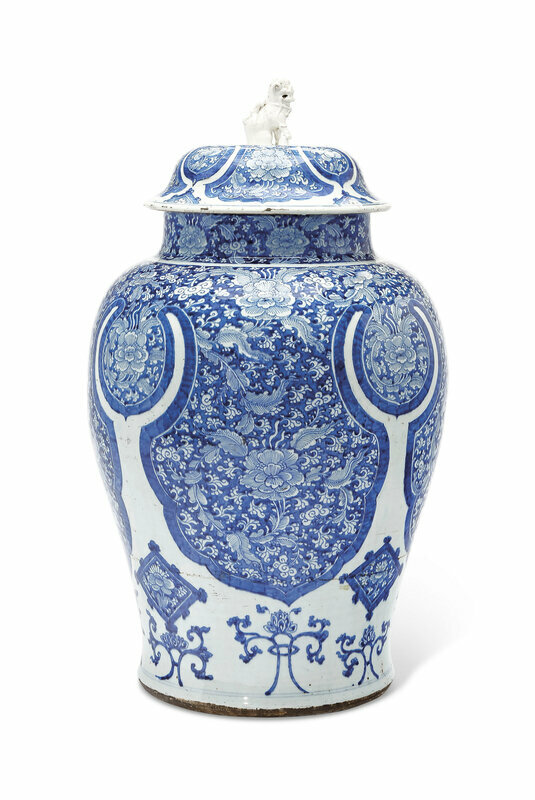 Literature: William R. Sargent, Chinese Porcelain in the Conde Collection, Madrid, 2014, p. 214-215, no. 74, where the author notes that the pair "[is] unusual in size and decoration" and that the central "pinwheel-like flower is unheard of in Chinese enameling, as is the border flower [with yellow and deep red petals]".